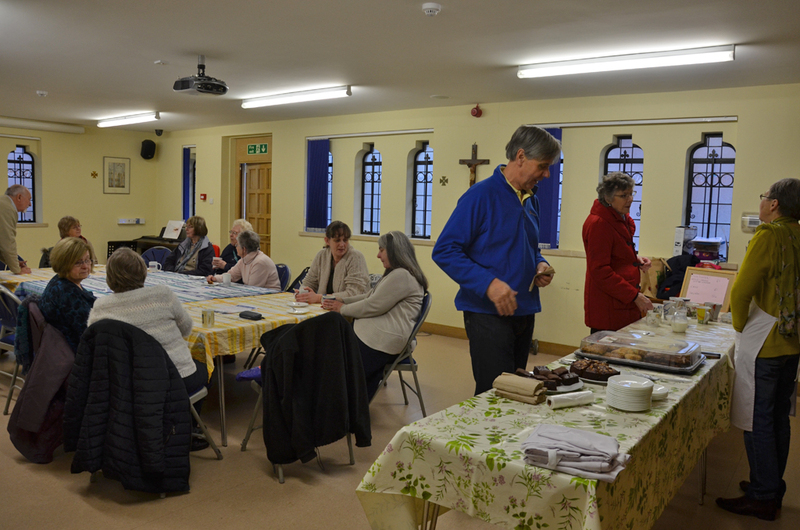 A warm parish hall on a dull day, plenty of tea, coffee, an Apple & Orange spiced winter warmer drink, lots of cake and friendly chat were the main ingredients of a cheerful first Saturday morning of 2017. We welcomed over 40 people and raised £89 towards the pipe organ maintenance. Our Sweet Treat Saturday Organ fund coffee mornings are non musical events (the Musical Bite coffee mornings usually had a music theme or workshop of some kind). We had a display of event photos and for the first time featured our 'Pipes of the Month' which aim to provide a bit of information about the different types of pipes and sounds in the Willis organ and encourage pipe sponsorship in the MK50 year. This month we are featuring the classic Open Diapason/Principal sound. 2017 is 50 years since the Willis organ was purchased for St Mary & St Giles Church. If you sponsor a pipe this year the pipe sponsorship certificate will mention MK50 - the Golden Jubilee of Milton Keynes. The organ will feature in several concerts this year which celebrate this double celebration, starting with our MK50 Community Gala concert on 28 January at 3pm.